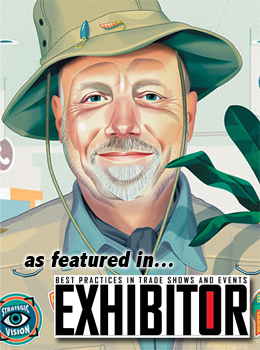 TradeshowGuy Blog - Page 2 of 93 - Best tradeshow marketing tips and case studies. 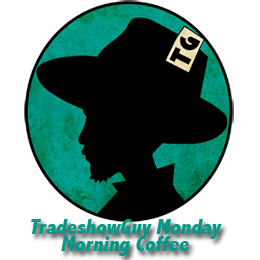 For this week’s TradeshowGuy Monday Morning Coffee podcast-slash-vlog, I thought it’d be fun to chat with a longtime radio broadcaster that I’ve crossed paths with a few times during my radio career. 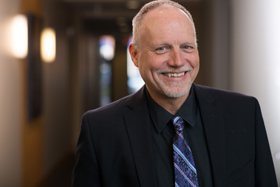 Dave Scott started in radio about the same time I did – the mid-70s – and has tales to tell. So that’s fun. But one of the reasons I wanted to talk to him was to get more information about his new podcast, Embrace the Change, which you dan find at his website, DaveScottNow.com. Check out Dave’s podcast – I think you’ll enjoy it! And this weeks’ ONE GOOD THING: Ichiro Suzuki, who just retired from his Hall of Fame baseball career. 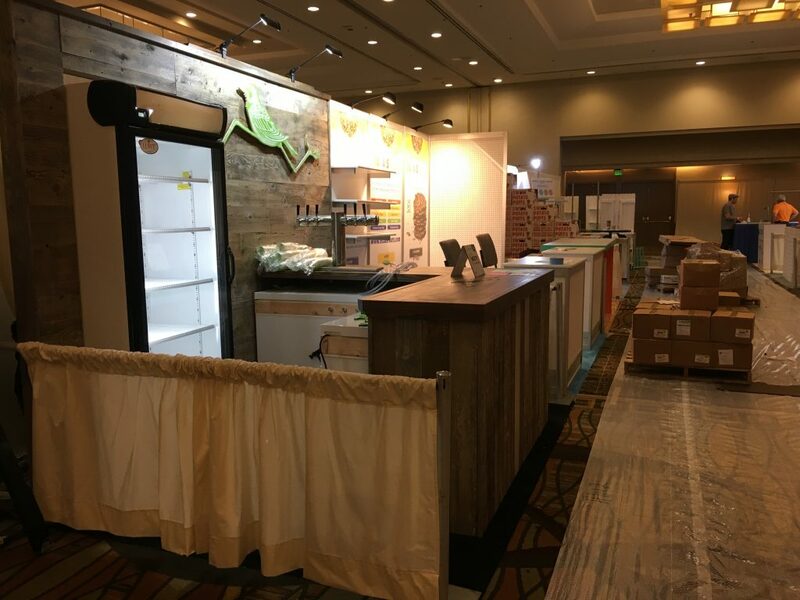 I’m guilty of sometimes thinking that once a tradeshow is over for the year, it’s over. For a long time. Until next year! But that’s not really the case, no matter how much I’d like to be done! 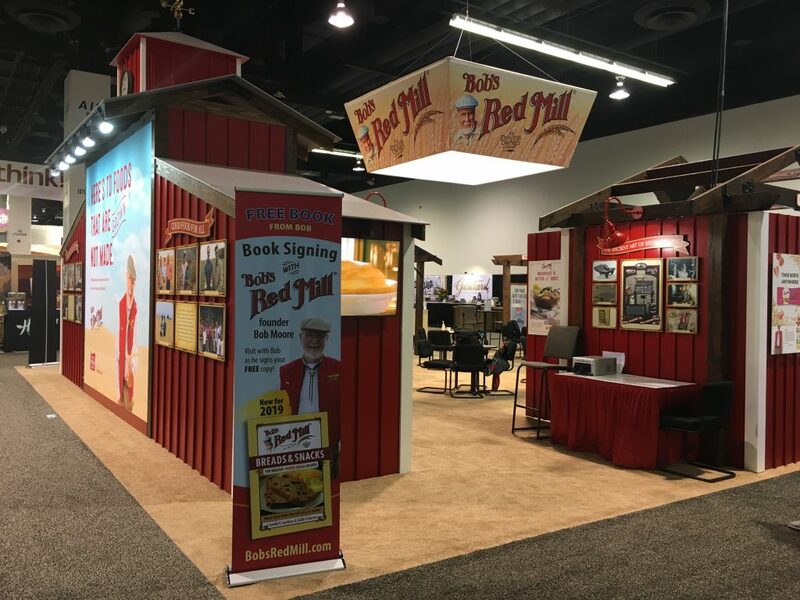 But now that the show is over, it’s a good time to start planning – or at least thinking about – the next time you’ll exhibit at the show. Look at your preparation time from how much of a splash you want to make, how much “new” stuff you’ll implement in your exhibit, and of course, budget. Budget drives everything. Almost. 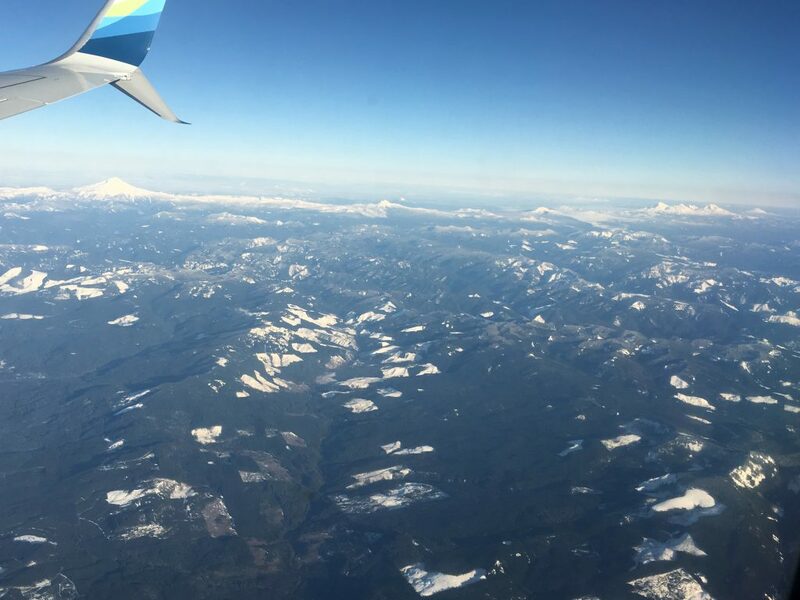 If the biggest show of the year just ended, and you’re back in the office, you have another 11.5 months before you pack up and head to the airport again (and that doesn’t take into account another half-dozen smaller shows that may keep you on the road). Give yourself time to breath. There’s still follow-up and record-keeping to be done from the last show. File and share data such as photos, visitor comments, leads, etc. with the proper people. Go over the metrics you collected, identify important information that will help you make decisions for next year’s show. Whatever you chose to document, make sure it’s archived and available for your team to review, digest and understand. As they say, if you didn’t write it down or document it, it didn’t happen. But before too much time passes, look at the show from a new angle: if you’re going to do something new, exciting and impactful (and why wouldn’t you? 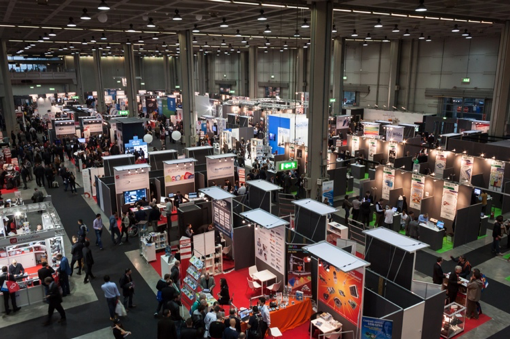 ), you need time to brainstorm, plan, research, talk with partners such as exhibit houses, tech and AV vendors and more. Most of your time will go into planning and design. Once the plan is set, the implementation starts. 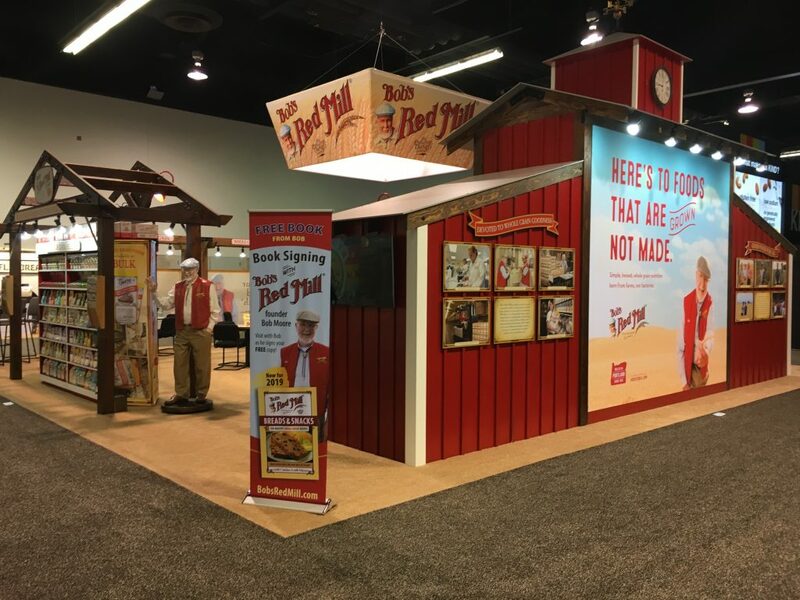 Depending on your plan, that could mean working with a designer or exhibit house to create a new exhibit from scratch, or it could mean adding some unique element to your current booth (like we did with our client Bob’s Red Mill when they wanted a 42” touchscreen with several videos that visitors can pull up with a touch of a finger). 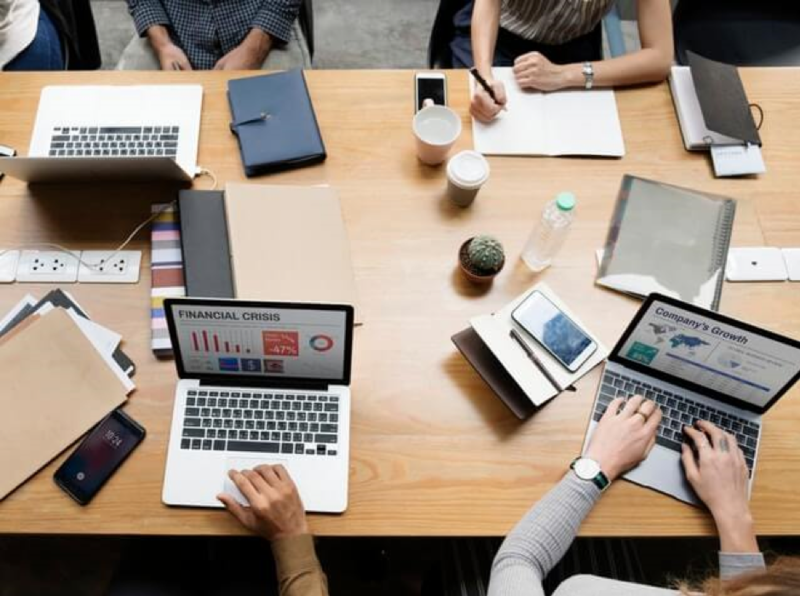 During the planning phase, you might be addressing the launch of new products, new branding, redefining your objectives and goals, and identifying how you’ll communicate your messaging, capture new leads and so on. It’s a long process, and you should give it the time it deserves. Many companies approach a new exhibit project as just that: a new exhibit and nothing more. Which means they don’t give all of the other items enough time and space. The exhibit is not a standalone item; it’s integral to everything else that your company is doing for the show. 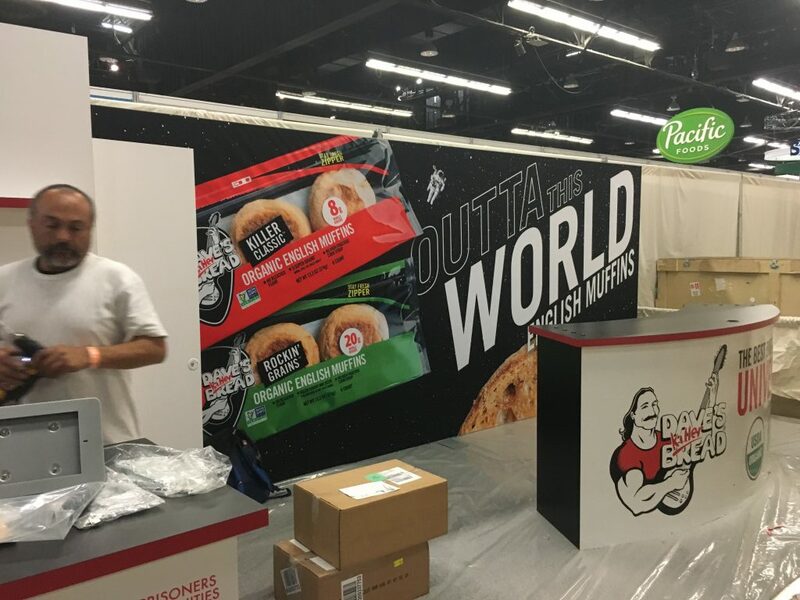 New products require proper display space, adequate space for graphics, and perhaps space to sample or demo them. If you have a social media marketing director, make sure you bring her into the mix during the process. They can pass along photos and videos from the recent show and use them to build interest in next year’s show. 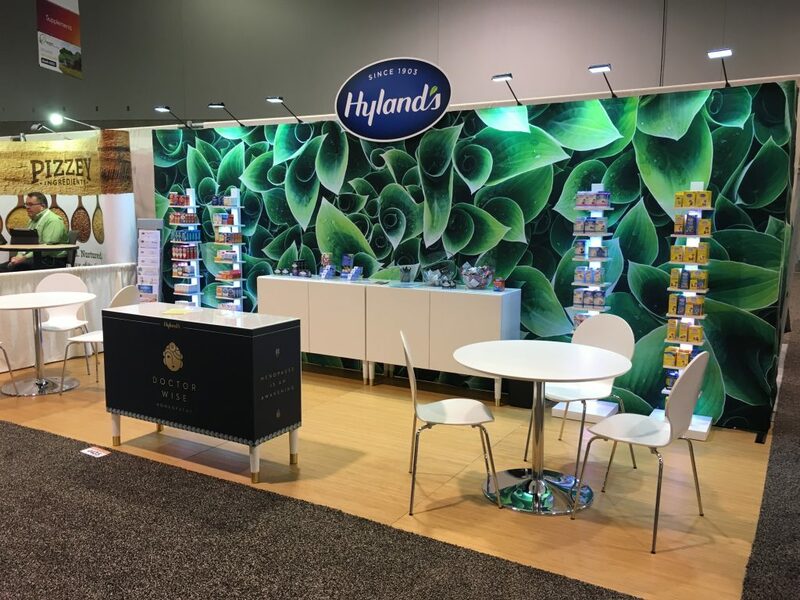 During the lead-up to next year’s show, focus on building interest in the event, building interest in your appearance at the event, and finally on building interest in the products or services you’ll debut or feature. Yes, this deserves a much longer discussion, but don’t let this element slip away. Make sure, as a tradeshow manager, that you’re involved in the discussions on how this will unfold. This subject could be the topic of a complete book (maybe I’ll make this my next book! ), but suffice it to say at this point that, all other things being equal, a well-trained dynamite booth staff will perform head and shoulders above a staff that isn’t properly trained. Your staff should be outgoing without being pushy, engaging without being trite. Know what questions work and what don’t. Always have a smile. Don’t take rejection personally. 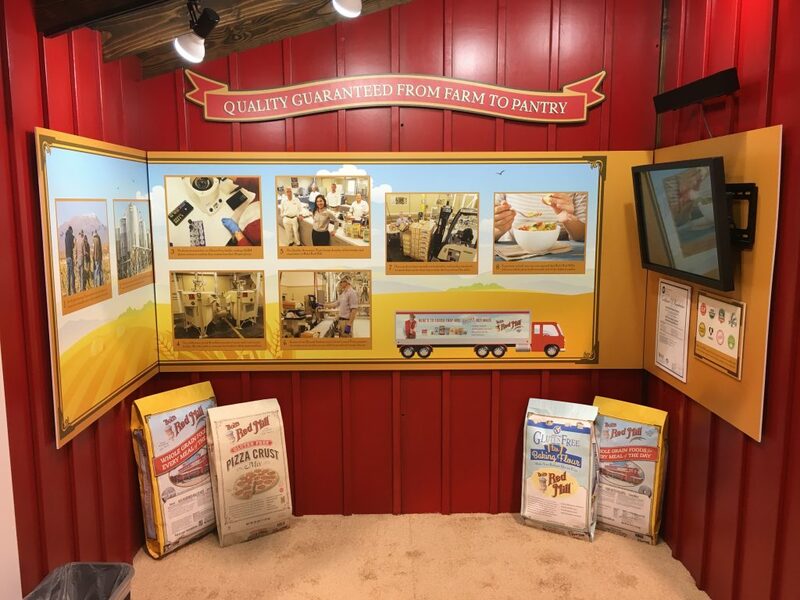 If you haven’t trained your booth for a while, consider how good of an investment it can be. Before undertaking a new large project, make sure you are communicating properly with all of the various entities: management, marketing team, sales team, production team, outside vendors and partners. They should all be aware of the project from the beginning and what their potential part in the dance might be. Communicate often and do it well. It’s hard to over-state the importance of your ability to communicate! This is a guest post by Tania Longeau of InkJet Superstores. 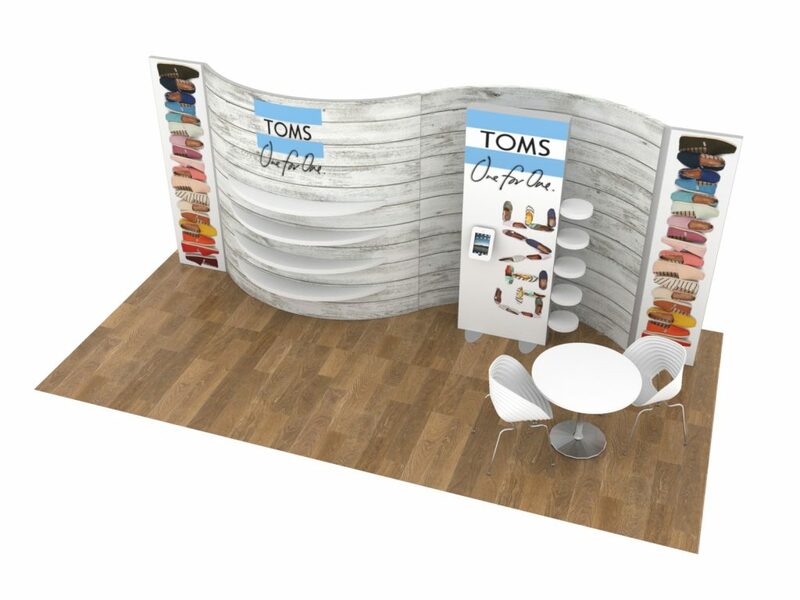 Setting up a booth at a trade show is a great way to build awareness of your brand and gain new leads. 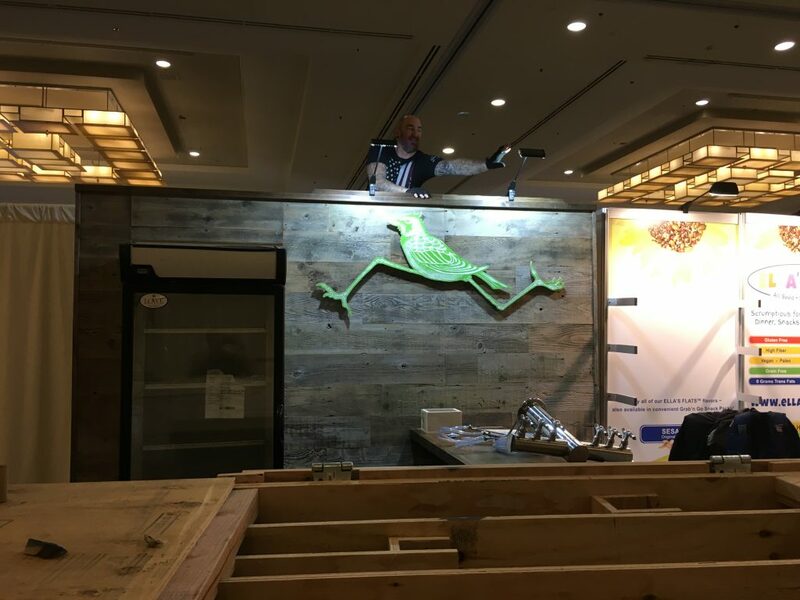 On the busy floor of a trade show, however, you only have 6 to 10 seconds to catch the attention of a passerby and draw them into your booth. 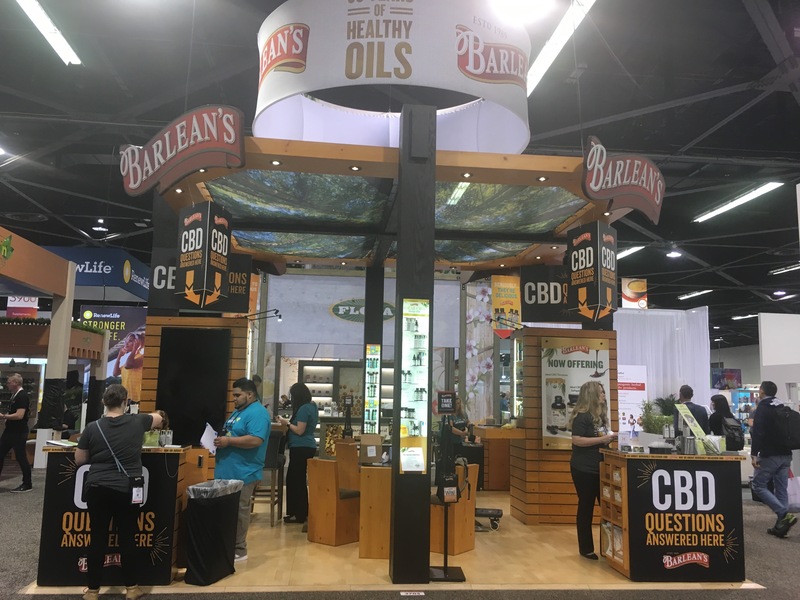 You are lined up alongside several other businesses and, depending on the size of the show, you could have several thousand people walking past over the course of just a few days. 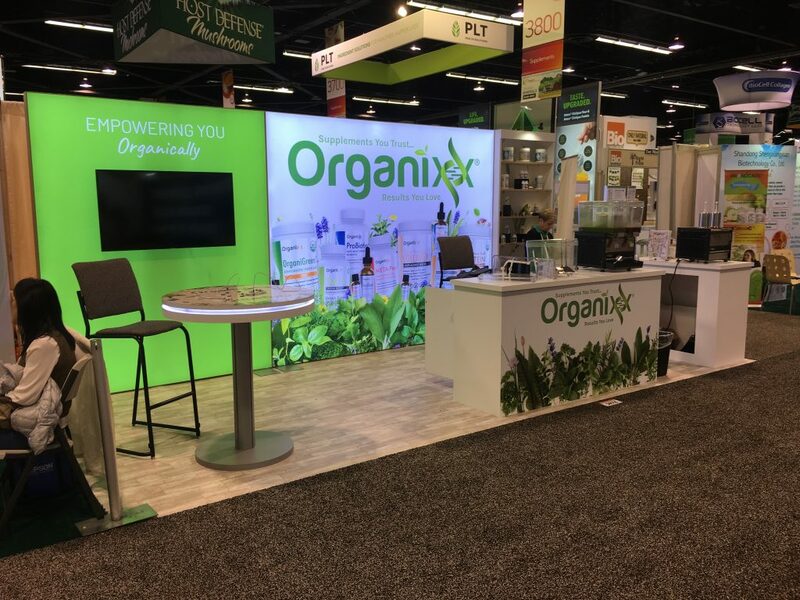 If you want them to stop by your booth, you need eye-catching signage to draw them in. 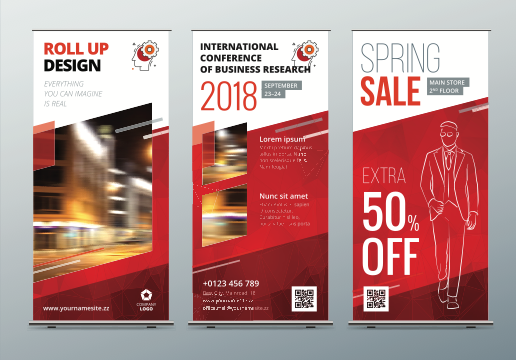 Once you’ve gotten their attention, you need well-designed marketing materials like brochures, flyers, catalogs, and cards that they will take and look at again after the event. It sounds difficult, but learning how to make eye-catching signs, brochures, and other branding and marketing materials isn’t as hard as you might think. 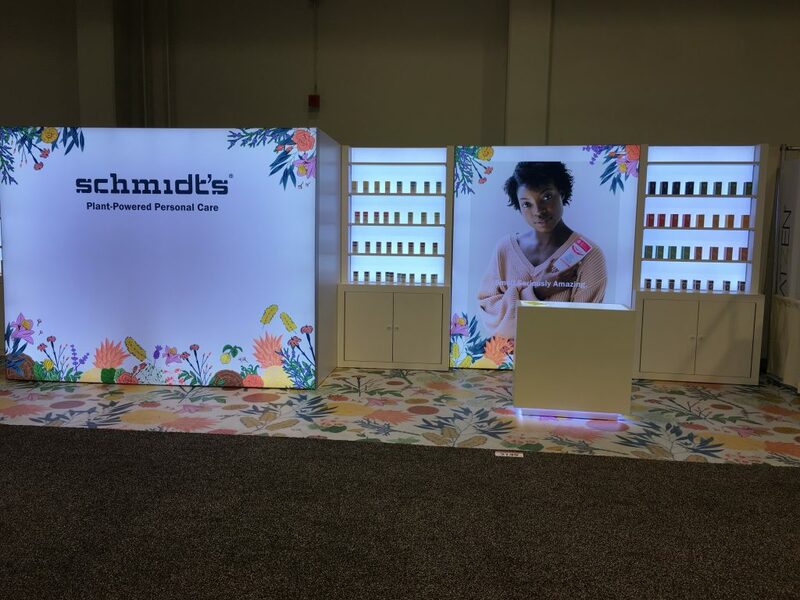 Keep reading to discover a few of our favorite trade show tricks. Businessman Alan Lakein once said that “failing to plan is planning to fail,” and he was absolutely right. If you fail to do extensive planning prior to attending a trade show, you are very unlikely to have a particularly successful event. Goals and desired outcomes need to be established months before the date of the event to ensure that you have time to create everything you need. Set SMART goals and come up with a solid plan of attack for meeting them. Think about what advertising and marketing materials you will need. Figure out whether you will make those materials in-house or have them printed elsewhere. If you plan on making them yourself, make sure you are stocked up on printer ink, paper, and other essential supplies. Trust us. 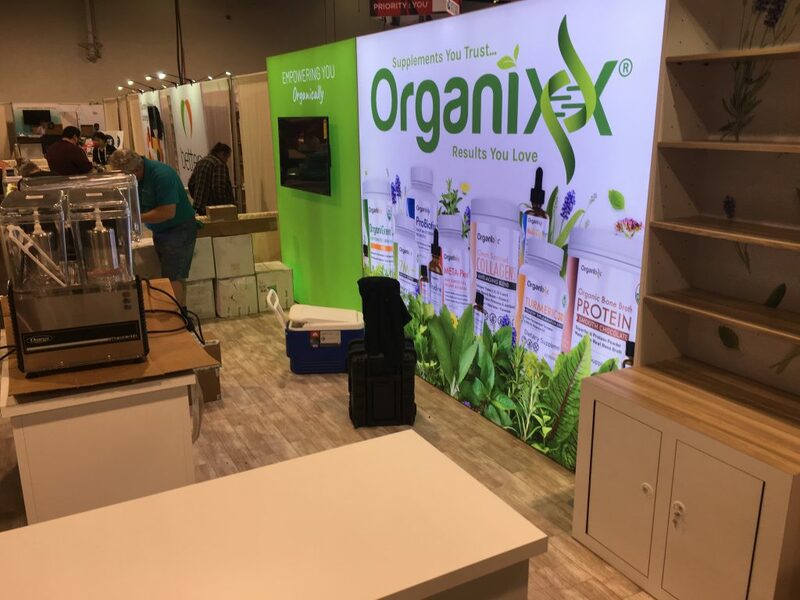 Few things are worse than running out of ink at 11 p.m. the night before a trade show because you failed to plan and waited until the last minute! When you only have a few brief seconds to grab someone’s attention, a sign or banner with lots of words just won’t do. A picture says a thousand words and, when you use images that are eye-catching, your signs will say a lot about your business, products, or services without needing to say a word. 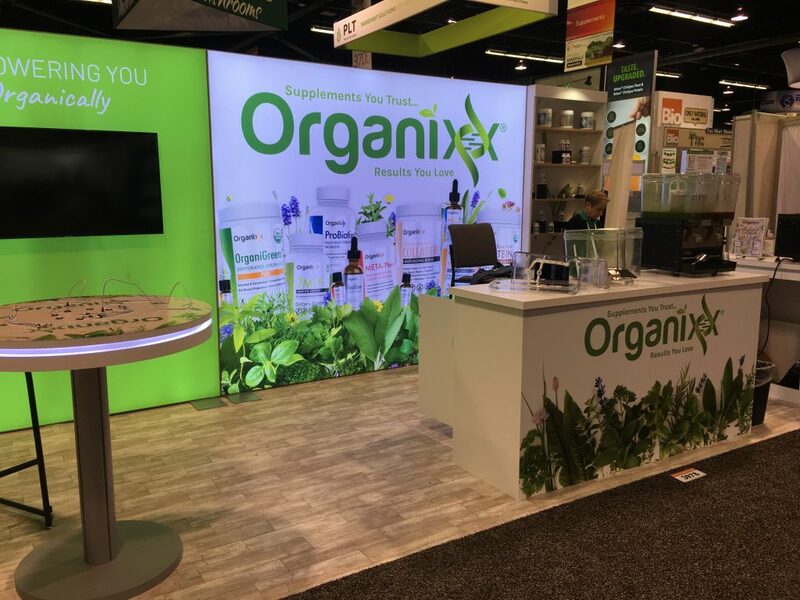 Keep the wording on your booth graphics short and to the point. Your signage should mostly consist of attention-grabbing images. Text should be kept to a minimum. 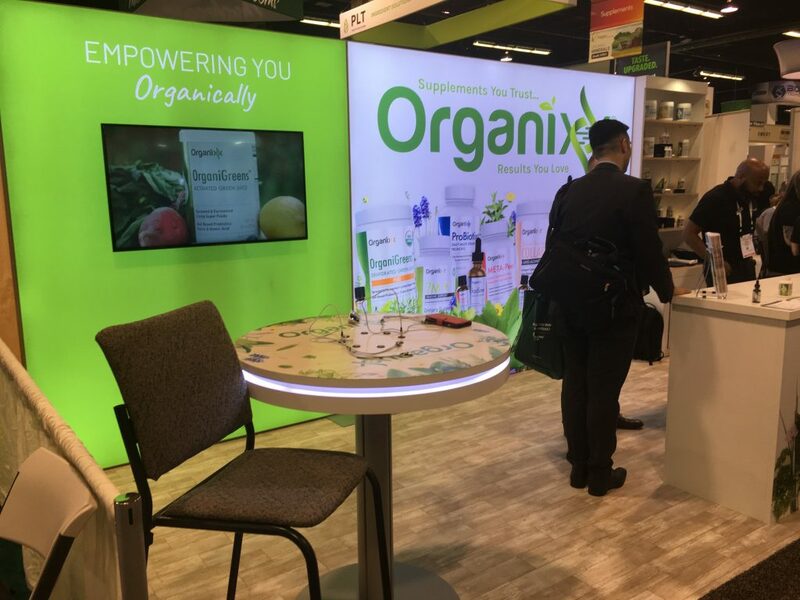 On a busy trade show floor, very few people are going to stop and read an entire paragraph or a long list on a sign. Keep your message short and sweet. 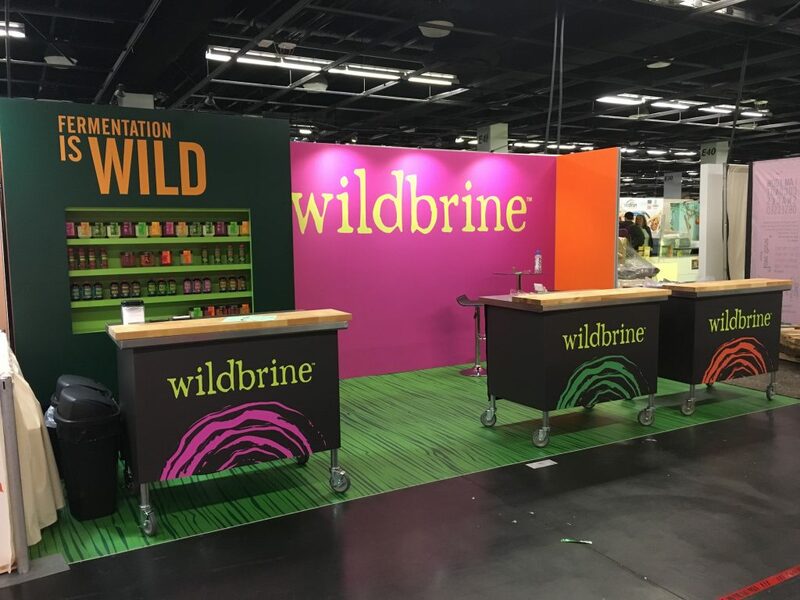 You may love the look of the fancy font you use on your website or logo, but it may not be the best choice for creating trade show signage and displays. When you are designing signs, banners, and anything else that will be viewed from afar, choose fonts that are simple and easy to read. 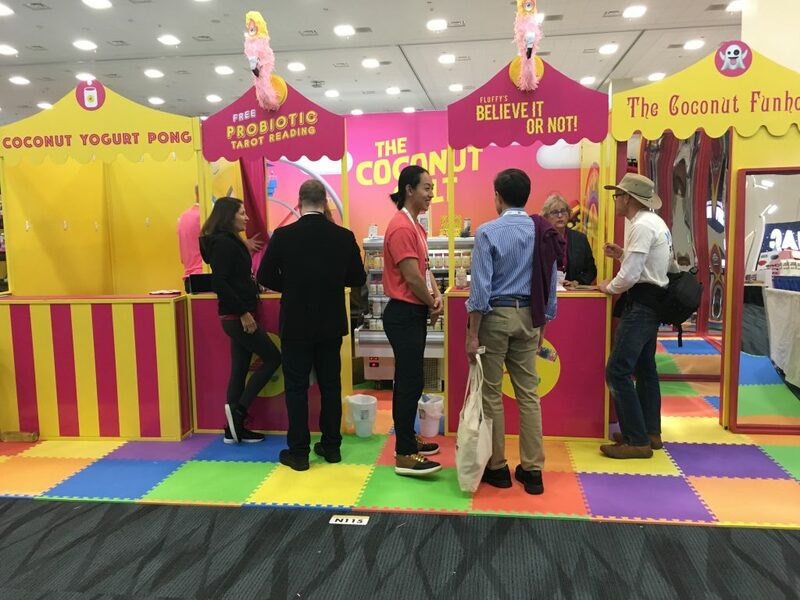 Remember that, on the trade show floor, your booth is competing for event attendees’ attention. If your advertisements aren’t easy to read, those attendees are just going to look elsewhere. Be careful when choosing fonts for printed brochures, too. If most of your marketing materials currently exist online, adjustments may need to be made to ensure that they print well. Fonts and colors that look great on a computer screen or a smartphone might not look so good on paper, so be sure to do some experimentation to make sure everything is flawless. There is a lot that you can do with the inkjet printer or laser printer in your office. Many of today’s higher-end models are capable of creating prints that rival professional quality, and you may be able to get away with printing many of your own signs, flyers, brochures, and pamphlets. It’s also important, though, to know when to hire a professional. Unless you have a high-quality inkjet printer that’s capable of printing large-format banners and other big displays, you should definitely work with a professional printing company. 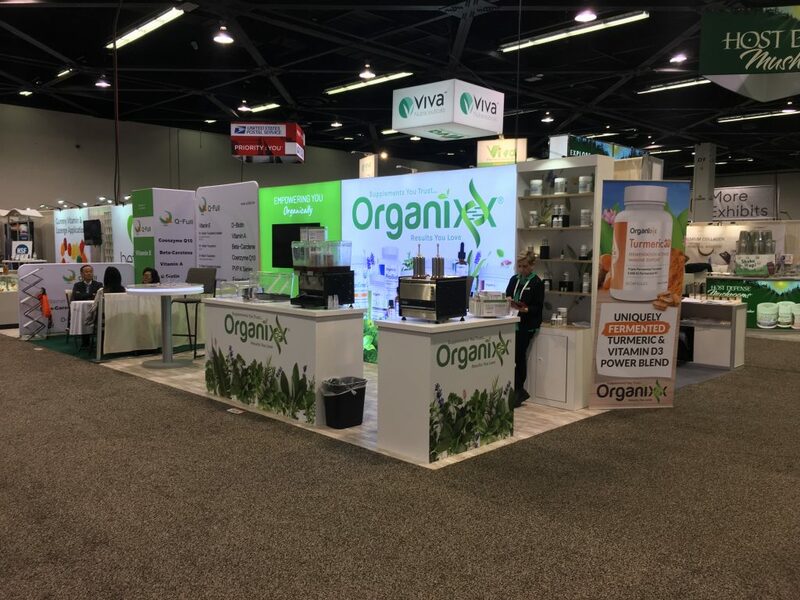 You only get one shot at making a good first impression, so the signage and displays you put up at your booth are extremely important. Unless you have professional graphic design skill, working with an expert designer is a smart idea, too. A design may look awesome to you, but it may not actually be all that great. There is a lot more that goes into a successful design than just making it look pretty. A good designer can help you create brochures and signs that are eye-catching, tell your brand’s story, and evoke emotion. It takes a lot more than a copy of Photoshop to do all that! 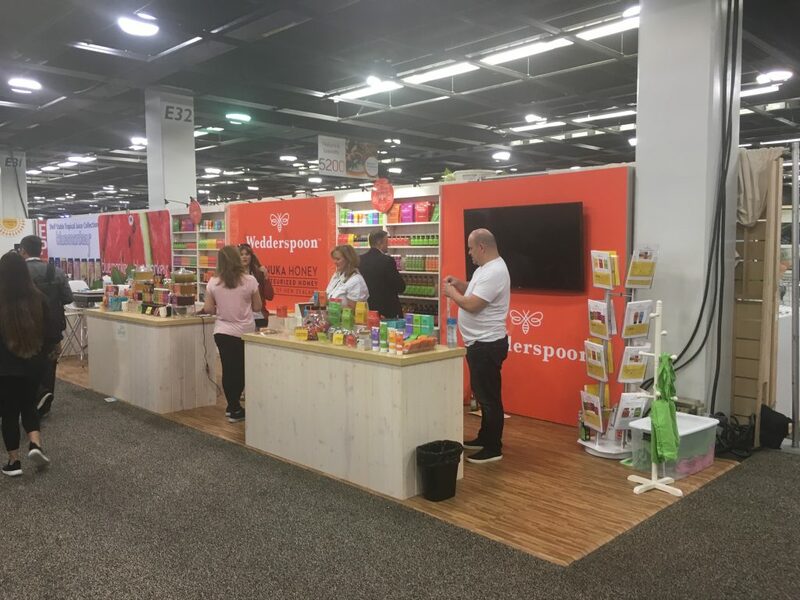 When you are attending a trade show, setting your booth apart from all of the other ones around you is extremely important. 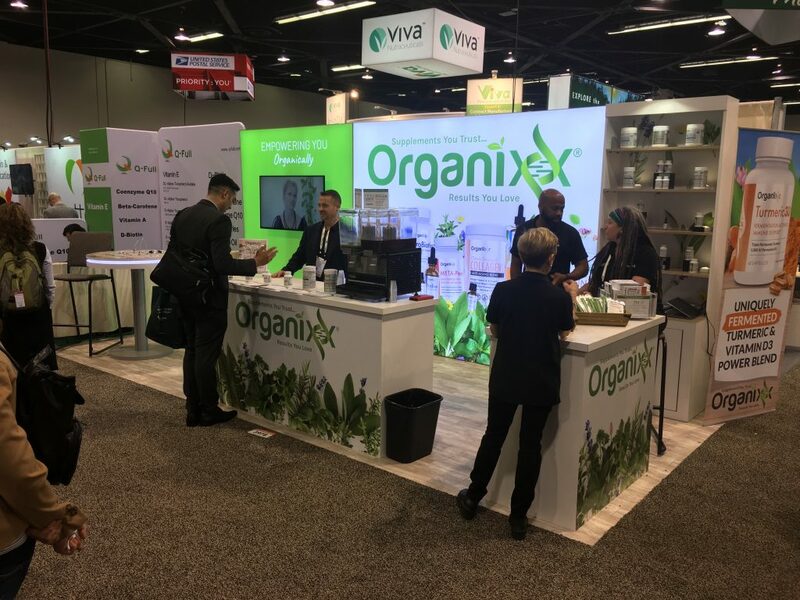 There will be hundreds or thousands of people passing by your booth over the course of a few short days, and you will only have a few seconds to grab each person’s attention. 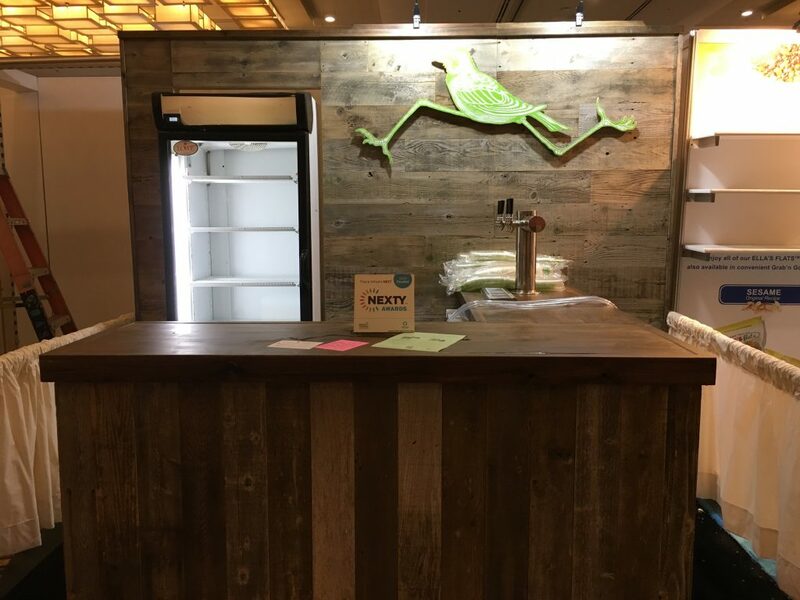 With eye-catching signs, banners, and displays, you can let event attendees know what your business is all about and encourage them to stop by. With eye-catching brochures and pamphlets, you can encourage them to pick up your marketing materials and check them out after the event. Keep the above listed tips in mind, and you will be well on your way to meeting your goals for the event! Tania Longeau serves as the Head of Services for InkJet Superstore. Tania oversees a team of Operations and Customer Service Reps from the Los Angeles headquarters. Before joining InkJet Superstore, Tania was a team leader and supervisor working for one of the biggest mortgage and real estate companies in the country. Images are provided by the author via Shutterstock. Instagram is one of the biggest social media platforms out there today. 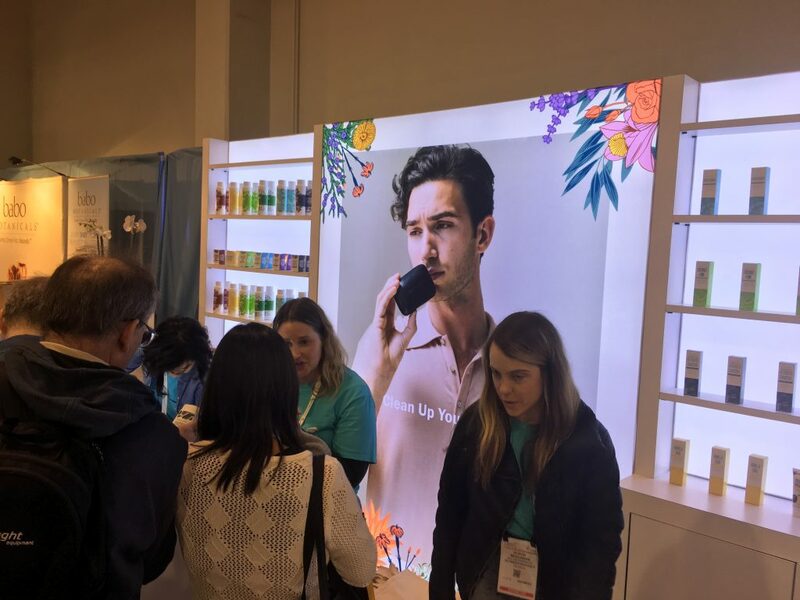 With more than one billion monthly active users and a diverse array of features, it offers plenty of scope for getting your tradeshow noticed. 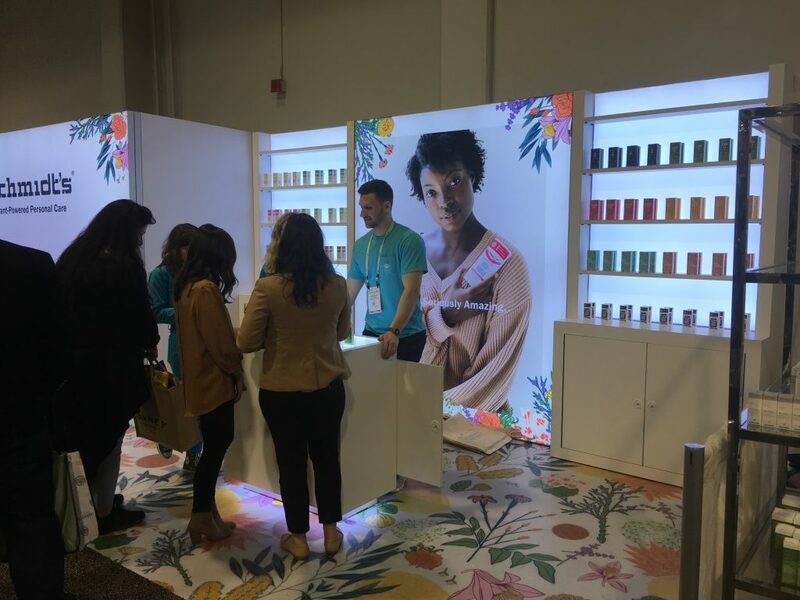 Read onto discover how you can use this visual social platform to spread the word and drive up attendance to your next tradeshow. Industry influencers are the perfect way to spread the word about your tradeshow. Notable figures within your business niche that command significant influence online are great for getting attention (and attendees!) to your event. You likely already know scores of renowned individuals in your industry. Indeed, you might even have connections with them from previous tradeshows. Reach out to them with a friendly email and ask if they’d be happy to share an Instagram post promoting your event. Be sure to include your contact details so they can find your website and social profiles easily too. Of course, this is two-way street. Offer your influencer contact something in return, such as a free piece of content or even just a coffee. You could even offer to promote their event, product, or service on your own social channels too. Hashtags are the foundation of a solid Instagram strategy. People use hashtags to find the people and content they love, and the same applies for your industry too. Find hashtags related to your niche by using a hashtag research tool. Simply enter the keywords relating to your business (for example, if you’re a grocery wholesalers, you might choose “grocery wholesalers” or “grocery distributors”), and search. This will throw up a whole list of hashtags that you can use in your tradeshow promotional campaign on Instagram. Use a blend of both generic hashtags (e.g. 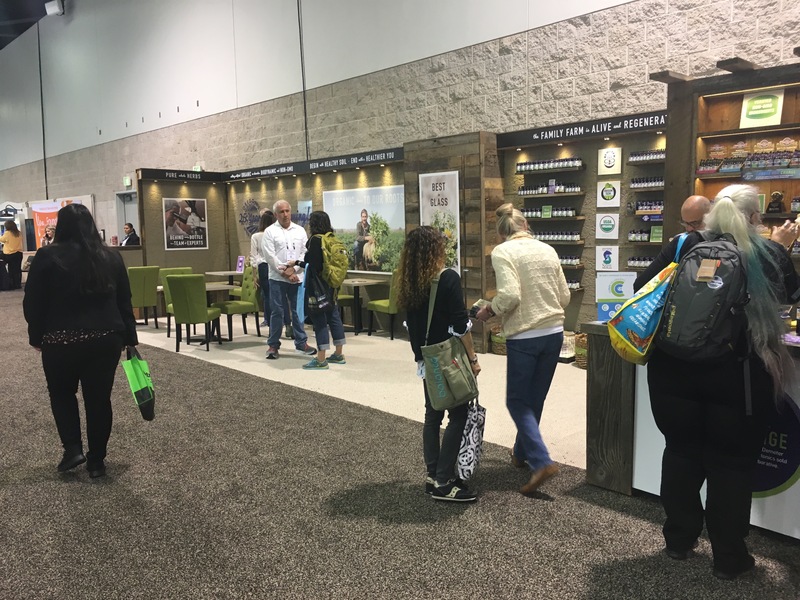 #retail or #tradeshows) with more specific hashtags (#wholesalerstradeshow or #callcenterevents) to get your content seen by a wide audience. While Instagram is a marketing powerhouse, it doesn’t (and shouldn’t) exist in a bubble. Social media and email actually work in tandem with each other, with the former sourcing your leads and the latter locking them into your marketing funnel so you can promote your tradeshow to them time and again. Use your Instagram as the launch pad for capturing attendee information. Grab your followers’ attention with eye-catching posts promoting your event, and include a trackable link in your bio that your followers can use to sign-up to your newsletter. To boost the chances of people signing up, offer a freebie such as a downloadable ebook in return for their email address. These are easy and virtually free to create, and gives your followers a real incentive to sign up. Video is a popular content form that’s great for engaging customers. By simply using your smartphone camera, you can quickly and easily create videos to share on your Instagram and promote your tradeshow. Video is highly versatile. As this article on Instagram marketing from Moosend explains, video offers a staggering variety of formats, and there are plenty ideas you can use to spread the word about your event. 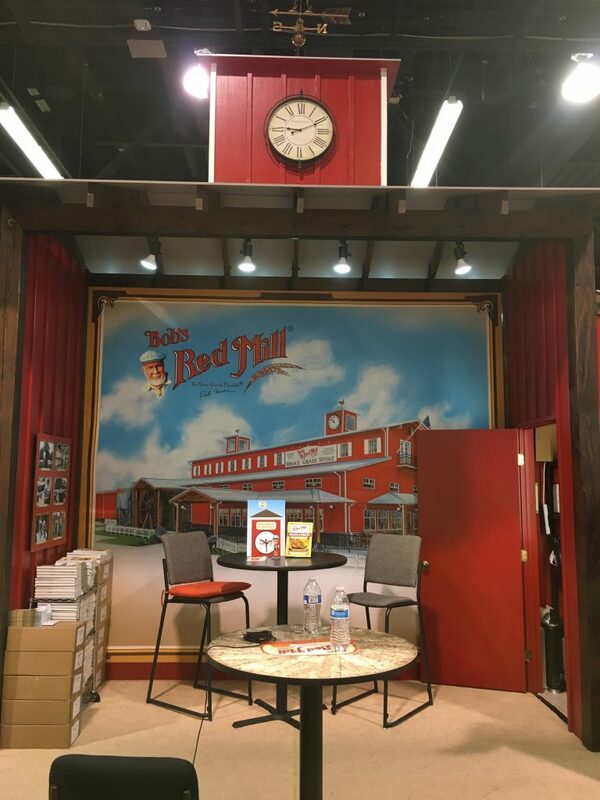 A simple piece to camera in which you let your followers know about your tradeshow is simple and easy to do. But beyond this, you can also share clips of your previous events, as well as sneak peeks of product demos you’ll be displaying. And when the day of your tradeshow rolls around, you can use Instagram’s IGTV feature to live-stream your event as it happens. Your followers receive a notification when you start a live video, so it lets people who couldn’t attend experience your event too. 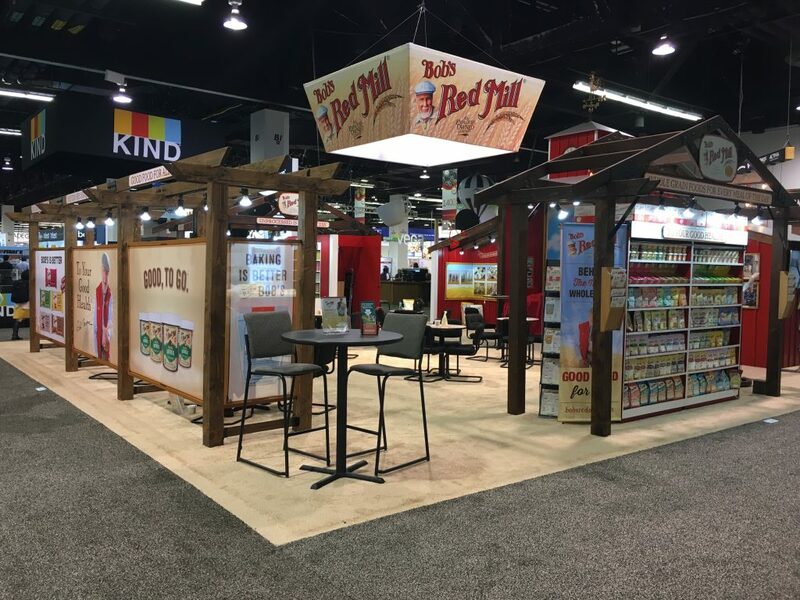 Sharing clips on your Instagram feed and Story makes for great adverts for your tradeshow. Armed with the knowledge above, you’re now ready to launch your Instagram marketing campaign for your tradeshow. Follow these tips, and you’ll see your event attendance soar. 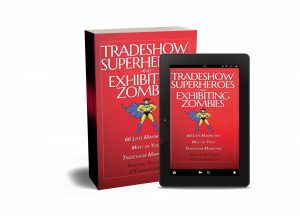 Get started today and start promoting your tradeshow. 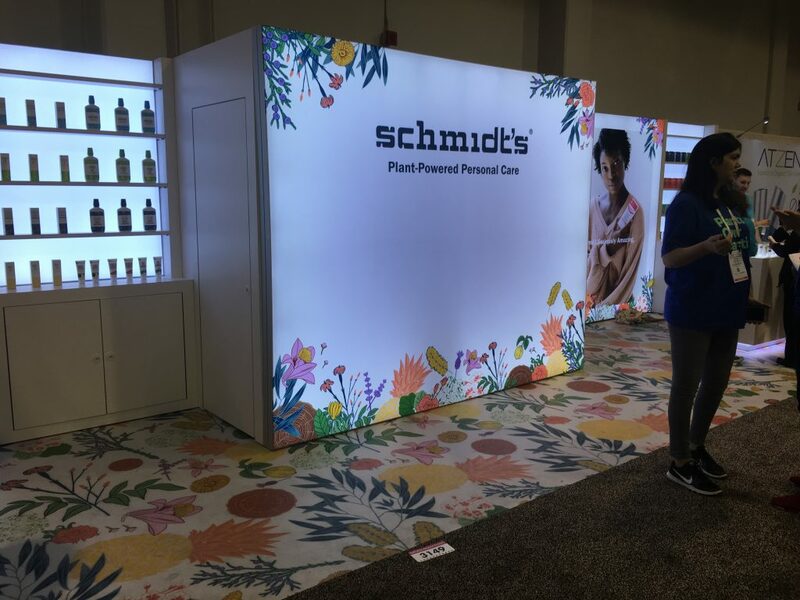 Schmidt’s Naturals has been a client for a few years, but this year they stepped up from a 10×20 custom exhibit to a brand new 10×40 custom exhibit. The brand, which was purchased in late 2017 by Unilever, has seen fast growth for an expanding product line that was created basically out of a Portland garage a decade ago. 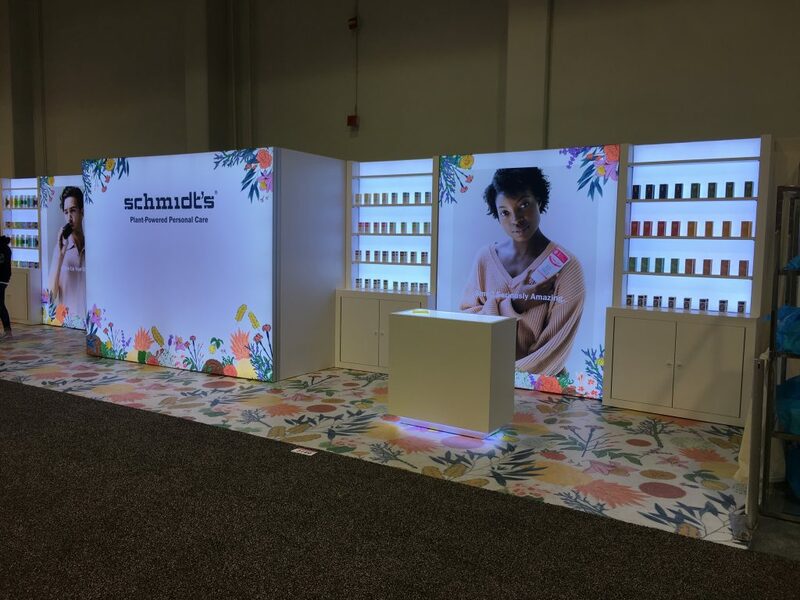 The new 10×40 custom booth features backlit panels from side to side, a generous closet and a pair of LED-highlighted display podiums with storage. The design is clean with lots of white space, and is set off by colorful iconic custom flooring. 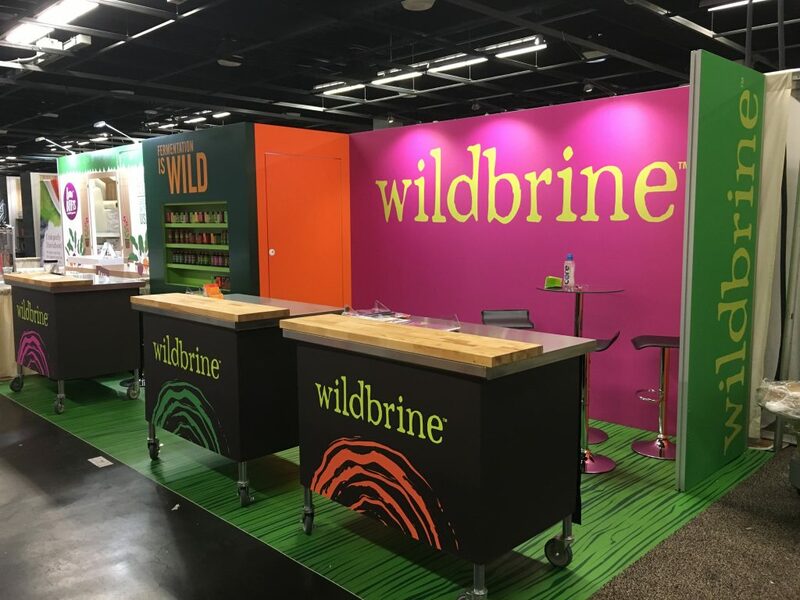 Wildbrine’s designer worked with our designer to come up with a clean and colorful 10×20 design that featured a bright green design for the flooring, and bright colors for the back wall and side return walls. There is an inset shelving unit in the closet, lit by white LEDs and a set of RGB custom-controlled lights. Another custom 10×20, this one highlighted by a large mounted monitor, a big lightbox and a custom product display. 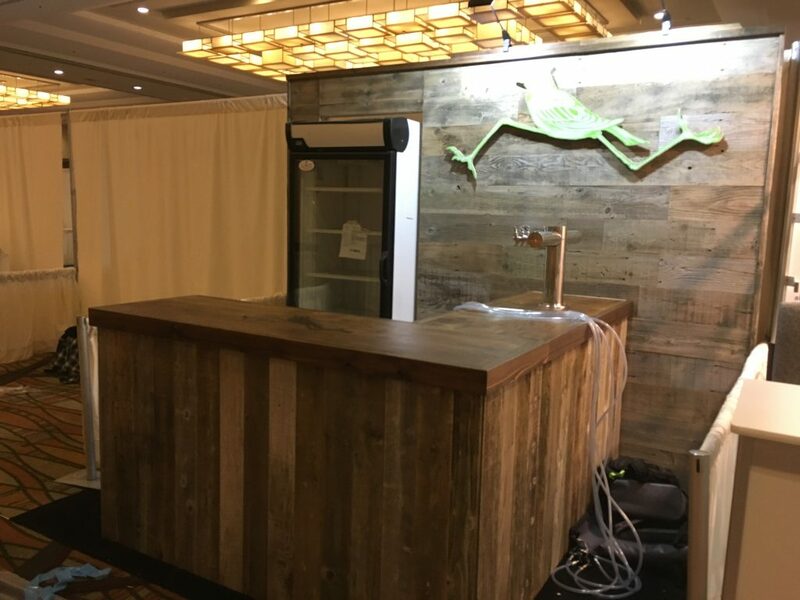 Two similar counters for drink machines and literature and an LED-highlighted round charging table topped it off, along with a white oak printed rollable vinyl floor. 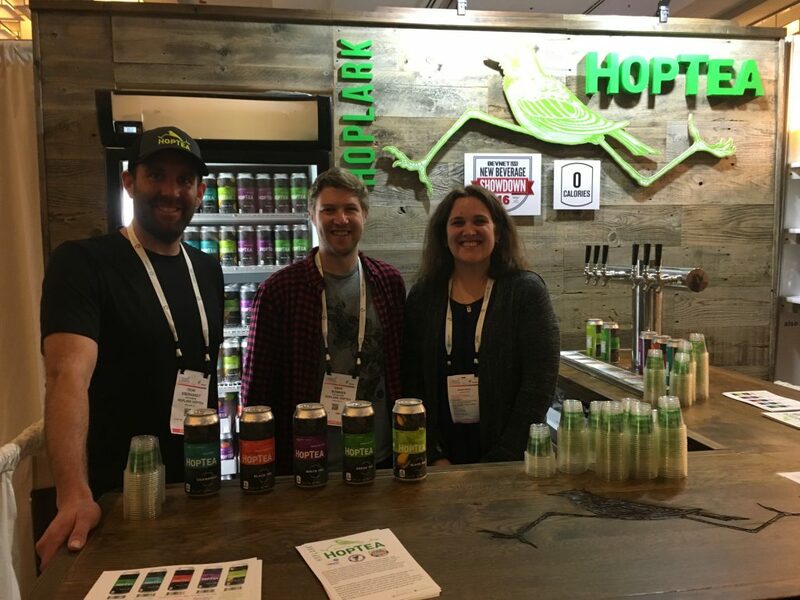 Hop Tea, out of Boulder, Colorado, is a company founded last May! 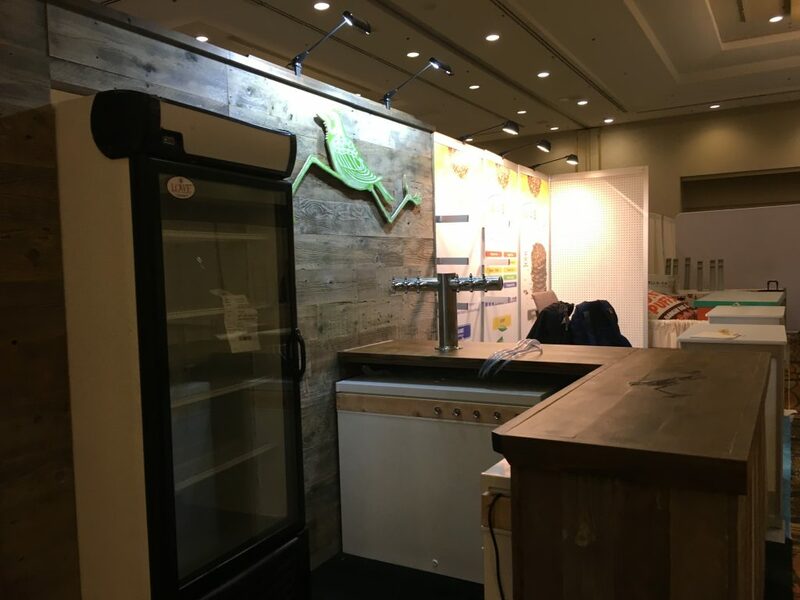 They found us online and we partnered with Salem’s TimbrandMoss to create a custom reclaimed barnwood back wall and counters to serve their brewed tea through kegerators. The back wall accommodated a rented refrigerator. The front counter was highlighted by a burnt-in logo. We also created a cut-out vinyl-wrapped 3D version of thei rlogo to hang from the back wall. 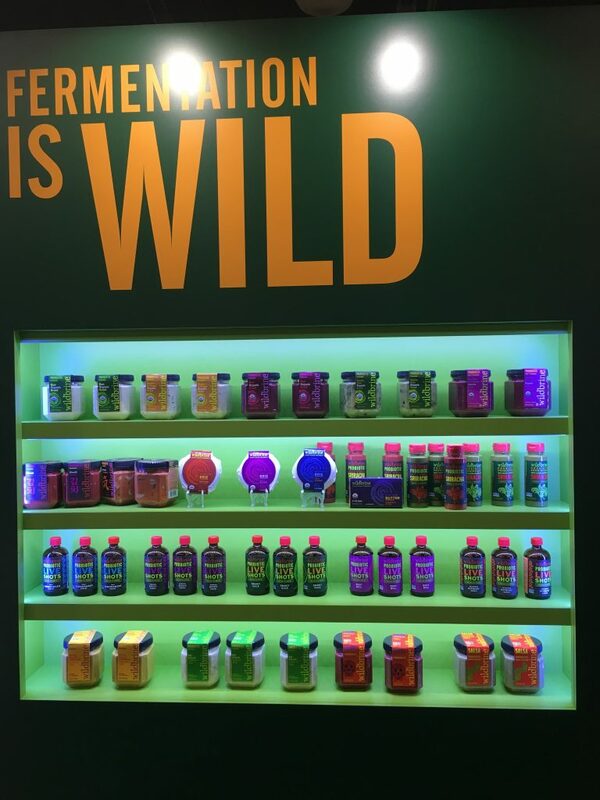 Their product won a Nexty award for Best New Ready-to-Drink Beverage. 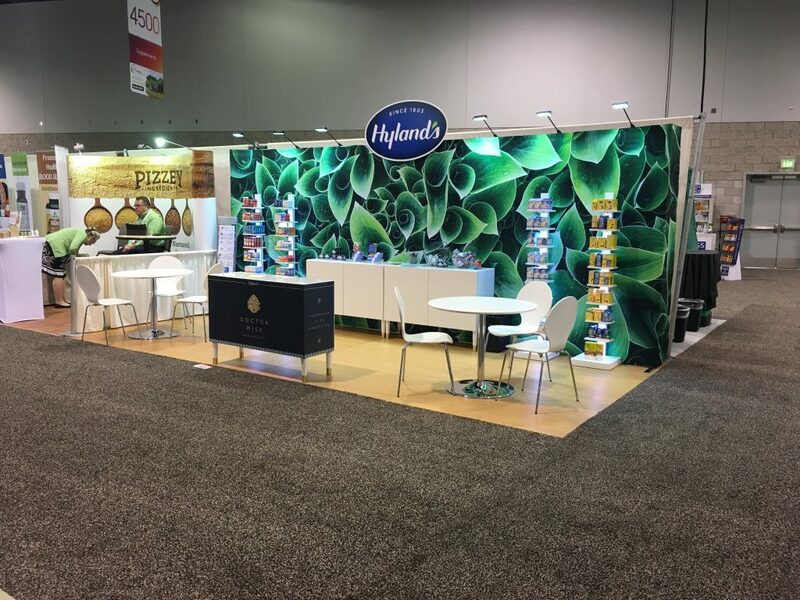 And their exhibit went over really well in the Hilton Hot New Products hall! 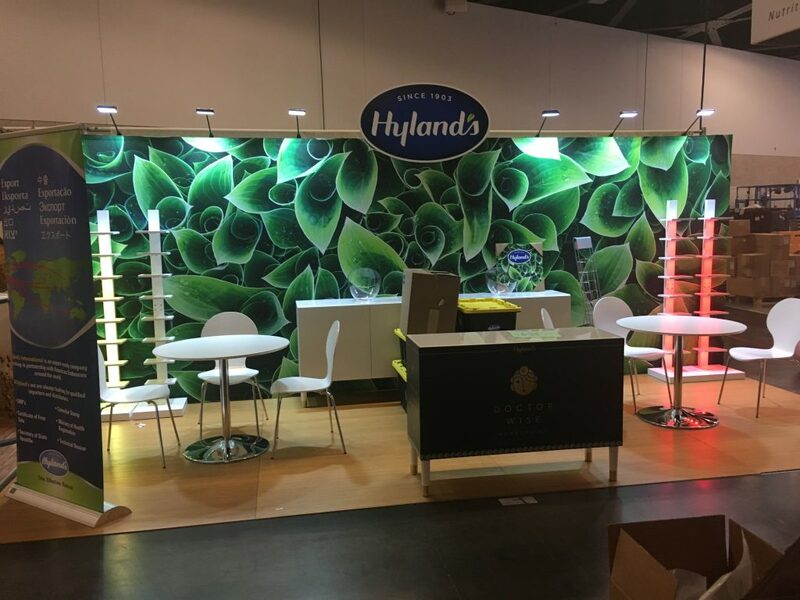 I go back over a decade with Hyland’s. The company I worked for back in 2005, Interpretive Exhibits (since closed due to retirement), designed and built a unique koa wood 10×20 exhibit. They’ve used it ever since – except for this year. 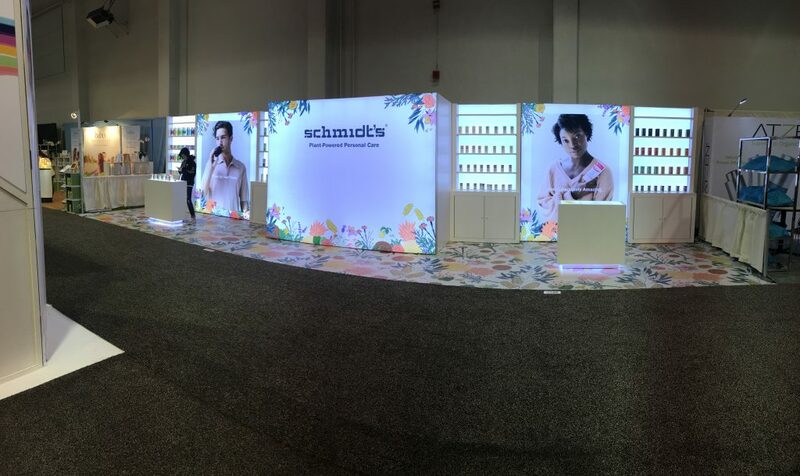 They wanted a brighter, simpler approach, and we helped put together a large 8′ x 20′ single-photo pop-up back wall. Striking! Long-time clients Bob’s Red Mill, Wedderspoon and Dave’s Killer Bread had us do some updates. 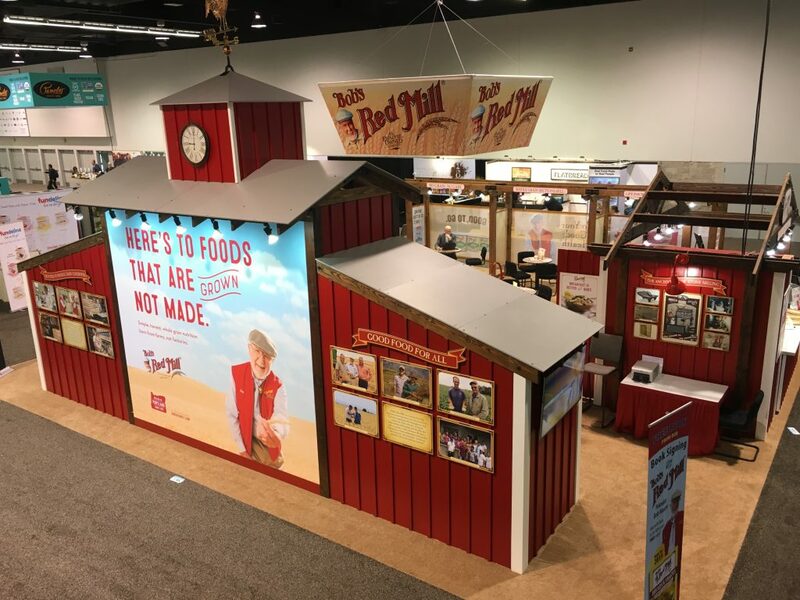 For Bob’s Red Mill, we coordinated the creation of a 42″ touchscreen video unit in the alcove portion of their booth, along with graphic updates throughout the exhibit. 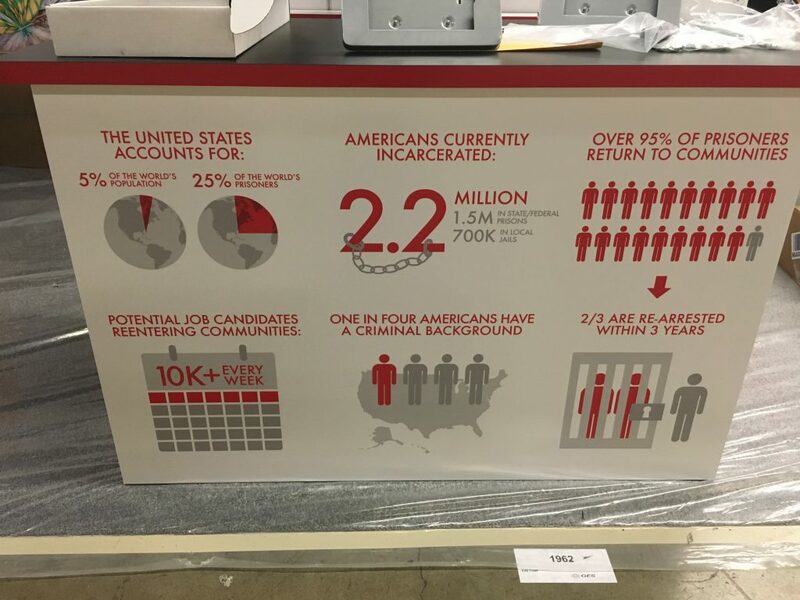 For Dave’s Killer Bread, new graphics included a stark look at second-chance employment for convicted felons on their front counter, and the addition of a video monitor which looped a short video on the issue. 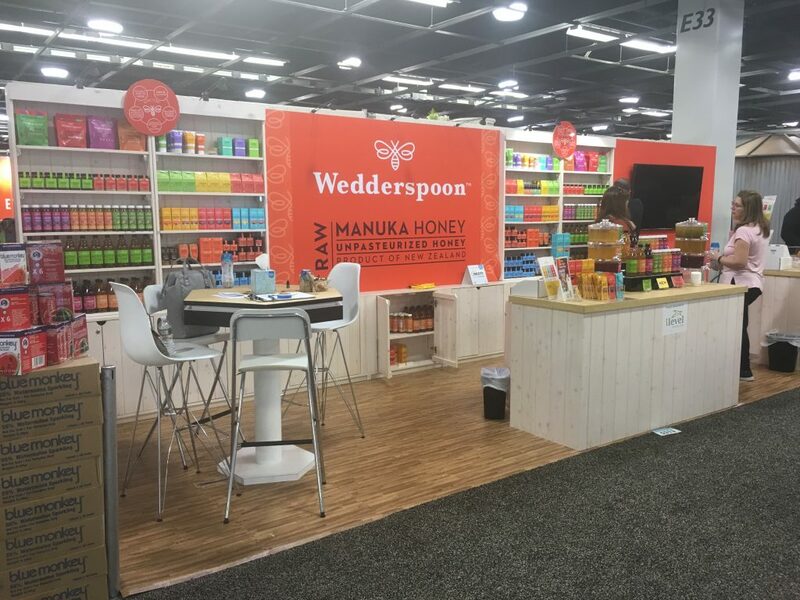 For Wedderspoon Manuka Honey, some more graphic updates. All great clients to work with – and glad to have them all!